C.M. Wang joined the School of Civil Engineering, University of Queensland (UQ) in January 2017 as the Transport and Main Roads (TMR) Chair Professor of Structural Engineering. He graduated from Monash University in Civil Engineering with a First Class Honours in 1978 and was awarded a M.Eng.Sc. and a Ph.D. degree from the same university in 1980 and 1982, respectively. 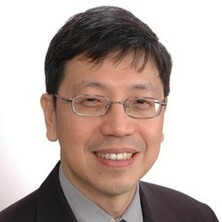 Prior to joining UQ, Professor Wang held the positions as the Director for the Engineering Science Programme and the Director for the Global Engineering Programme, at the Faculty of Engineering of the National University of Singapore. Additionally, he was the Vice-Dean of Undergraduate Programmes of NUS Faculty of Engineering and the Associate Director of the Centre for Development in Teaching and Learning, NUS. He is also the Adjunct Professor in the Department of Civil Engineering, Monash University, Australia and was elected as Monash Civil Engineering Alumnus of the Year 2015 for his significant contributions to the engineering profession. Professor Wang is a Chartered Structural Engineer, a Fellow of the Academy of Engineering Singapore, a Fellow of the Institution of Engineers Singapore, a Fellow of the Institution of Structural Engineers and a Fellow of the Society of Floating Solutions (Singapore). He was the Chairman of the IStructE Singapore Regional Group and the IStructE Council Member for 12 years. He was awarded the Lewis Kent Award 2009, the Keith Eaton Award 2014 and the IES Outstanding Volunteer Awards 2011 and 2008 for his outstanding leadership and significant contributions to IStructE and IES. He serves in the International Steering Committee of EASEC as the Vice Chairman. He is one of the founders of the International Engineering Science Consortium that comprises six premier universities (University of California Berkeley, University of Toronto, Osaka University, KTH Sweden, University College London and National University of Singapore). He is the Vice President of the Society of Floating Solutions (Singapore). He was a member of the General Council of the Asian Pacific Association of Computational Mechanics (APACM), APCOM and ICOTA and a member-at-large of the Structural Stability Research Council, USA and a member of the ISSC Committees V.2 Floating Production Systems and V.4 Offshore Renewable Energy. Professor Wang is a highly sought after keynote speaker in international conferences. He has given over 50 keynote presentations and many seminars on very large floating structures, structural modeling and analysis in many countries. He has won a number of research awards and best paper awards. He has provided consulting services and served as an expert in structures and very large floating structures to many public and private organizations, including JTC Corporation, Maritime and Port Authority of Singapore, Housing Development Board, Defence Science and Technology Agency, Jurong Consultants, Surbana International and Singapore Cruise Centre. Prof CM Wang’s research interests are wide; covering areas in structural stability, vibration, optimization, plates/shells, nano-structures, computational mechanics and large floating structures. He has made significant contributions to these areas by authoring over 420 journal papers, 5 books, editing 4 books and several conference proceedings. His publications have garnered over 14,300 citations and his h-index is 59 according to Google Scholar. He has been listed as a most cited researcher in civil engineering in the Shanghai Ranking for academic subjects 2016. Prof Wang is globally renowned for his work on very large floating structures (VLFS) that find many applications such as floating oil storage facilities, bridges, restaurants, and piers/berths. He holds international patents on a new type of pontoon, an offshore floating bunker supply base and a floating fuel storage facility. Prof Wang co-edited the first book on VLFS and published extensively on the subject. He has been invited to give keynote lectures/courses on VLFS in more than a dozen countries. He is the principal investigator of several research and industrial projects on VLFS that amounts to over S$10 million. He was the chief consultant for the floating platform at Marina Bay, the floating wetlands at Punggol Waterways, and JTC Corporation assessor for tender documents on floating fuel storage facility. His work on floating wetlands bagged the Minister of National Development R&D (Special Mention) Award 2017 and the IStructE Singapore Structural Award for Sustainability 2016. Prof Wang is currently working with NUS and SINTEF researchers to develop a new floating hydrocarbon storage facility and floating bridges for deployment in Singapore waters. He was awarded $688,000 from ARC to conduct research on a novel floating forest to protect fragile shorelines of Australia and another $433,000 to do research on the next generation offshore blue aquaculture. Prof Wang is also famous for his discovery of exact relationships between shear deformable beam/plate theories and their classical counterparts. His papers and seminal book on shear deformable beams/plates contain these amazing relationships that help unlock the exact solutions for shear deformable beams/plates. Another notable contribution of Prof Wang is the use of Eringen’s nonlocal theory for structural analysis that allows researchers to incorporate the effect of small length scale that is important when dealing with nanostructures. His early papers on the nonlocal beam theory have opened up a new research direction and spurred the publication of hundreds of papers on the subject. He has also contributed to the development of continuum models for carbon nanotubes, graphene and graphyne sheets. The study also involves calibrating the small length scale parameter in the nonlocal models by using Molecular Dynamic Simulations, experimental results and microstructured beam models or Hencky bar chain models. Prof Wang's early research papers on flexural-torsional buckling of monosymmetric I-beams were cited in structural stability textbooks and his buckling formulas for these beams have been adopted in design codes. His proposed "Shooting-Optimization Technique" for solving two-point boundary value problems has been applied to solve all kinds of problems such as variable arc-length beam problems, biofilm problems, undersea cables, and fibre problems. His work on the automation of the Ritz method for plate analysis has drawn much interest from the research community. Many researchers have adopted the method for their plate analyses. Professor Wang has supervised 17 PhD students, 20 MEng students and 10 Postdoc Fellows, many of them now holding leading positions in universities and engineering practice. Wang, C. Y. and Wang, C. M. Structural vibration: exact solutions for strings, membranes, beams and plates. Boca Raton, FL, United States: CRC Press, 2013. Very Large Floating Structures. Edited by Chien Ming Wang, E. Watanabe and T. Utsunomiya Abingdon, United Kingdom: Taylor and Francis, 2008. Wang, Chien Ming, Wang, C. Y. and Reddy, J. N. Exact solutions for buckling of structural members. CRC Press: Boca Raton, United States, 2004. Shear deformable beams and plates: relationships with classical solutions. Edited by C. M. Wang, Reddy, J. N. and Lee, K. H. Oxford, United Kingdom: Elsevier Science, 2000. Analysis and design of plated structures: volume 2 – dynamics. Edited by N. E. Shanmugam and C. M. Wang Cambridge, United Kingdom: Woodhead Publishing Limited, 2007. Analysis and design of plated structures: volume 1 – stability. Edited by N. E. Shanmugam and C. M. Wang Cambridge, United Kingdom: Woodhead Publishing Limited, 2006. Computational mechanics for the next millennium : proceedings of APCOM '99, Fourth Asia-Pacific Conference on Computational Mechanics. Edited by Wang, C. M., Lee, K.H. and Ang, K.K. Oxford, U.K: Elsevier Science, 1999. Liew, K.M., Wang, C. M., Xiang, Y. and Kitipornchai, S. Vibration of Mindlin plates: programming the p-version Ritz Method. Oxford, UK: Elsevier Science, 1998. Phua, K. H., Wang, Chien Ming, Yeong, W. Y., Leong, T. Y., Loh, H. T., Tan, K. C. and Chou, F. S. Optimization Techniques and Applications. Singapore: World Scientific, 1992. Teo, K. L., Paul, H., Chew, K. L. and Wang, Chien Ming Optimization Techniques and Applications. Singapore: National University of Singapore, 1987. Wang, Chien Ming, Zhang, Y. Y. and Reddy, J. N. (2011). Modeling and Analysis of Carbon Nanotube Structures. In Hari Singh Nalwa (Ed. ), Encyclopedia of Nanoscience and Nanotechnology (pp. 257-280) Los Angeles, California: American Scientific Publishers. Zhang Y.Y., Wang C.M. and Tan V.B.C. (2009) Assessment of timoshenko beam models for vibrational behavior of single-walled carbon nanotubes using molecular dynamics. Advances in Applied Mathematics and Mechanics, 1 1: 89-106. Hai L.V., Ang K.K. and Wang C.M. (2008) Vibration analysis of axisymmetric multi-layer liquid-filled cylindrical containers using RD-finite element method. International Journal of Offshore and Polar Engineering, 18 1: 43-49. Wang, C. M. (2006) Plastic buckling of plates. Analysis and Design of Plated Structures, Vol 1, 117-146. Lim, C. W., Li, Z. R., Xiang, Y., Wei, G. W. and Wang, Chien Ming (2005) On the missing modes when using the exact frequency relationship between Kirchhoff and Mindlin plates. Advances in Vibration Engineering, 4 3: 221-248. Shu C., Wu W.X. and Wang C.M. (2005) Analysis of metallic waveguides by using least square-based finite difference method. Computers, Materials and Continua, 2 3: 189-200. Wang C.M. (2001) Deducing thick plate solutions from classical thin plate solutions. Structural Engineering and Mechanics, 11 1: 89-104. Reddy, J. N., Wang, Chien Ming, Lim, G. T. and Ng, K. H. (2000) Bending solutions of the Levinson beams and plates in terms of the classical theories. International Journal of Solids and Structures, 38 26-27: 4701-4720. Lim, G. T. and Wang, Chien Ming (2000) Bending of annular sectorial Mindlin plates using Kirchhoff results. European Journal of Mechanics: A-Solids, 19 6: 1041-1057. Wang, Chien Ming, Ang, K. K., Yang, L. and Watanabe, E. (2000) Free vibration of skew sandwich plates with laminated facings. Journal of Sound and Vibration, 235 2: 317-340. Yan, N., Wang, Chien Ming and Balendra, T. (1998) Composite mass dampers for vibration control of wind-excited towers. Journal of Sound and Vibration, 213 2: 301-315. Wang, Chien Ming, Lam, K.Y. and He, X.Q. (1998) Instability of variable arc-length elastica under follower force. Mechanics Research Communications, 25 2: 189-194. Wang, Chien Ming and Ang, C. H. (1997) Moment value at centre of circular plates under central point load. Journal of Applied Mechanics, 66 3: 815-818. Wang, C. M., Kitipornchai, S. and Xiang, Y. (1997) Relationships between buckling loads of Kirchhoff, Mindlin and Reddy polygonal plates on Pasternak foundation. Journal of Engineering Mechanics, 123 11: 1134-1137. Reddy, J. N. and Wang, Chien Ming (1997) Deflection relationships between the classical and third-order plate theories. Acta Mechanica, 130 3-4: 199-208. Wang, C. M., Lam, K. Y. and He, X. Q. (1997) Green functions for axisymmetric bending and vibration of thick cylindrical shells. Advances in Structural Engineering, 1 2: 143-157. Chucheepsakul S., Thepphitak G. and Wang C.M. (1997) Exact solutions of variable-arc-length elasticas under moment gradient. Structural Engineering and Mechanics, 5 5: 529-539. Reddy, J. N. and Wang, C. M. (1997) Relationships between classical and shear deformation theories of axisymmetric circular plates. AIAA Journal, 35 12: 1862-1868. Wang, C. M. and Ang, K. K. (1996) Vibration of initially stressed Reddy plates on a Winkler-Pasternak foundation. Journal of Sound and Vibration, 204 2: 203-212. Chucheepsakul S., Thepphitak G. and Wang C.M. (1996) Large deflection of simple variable-arc-length beam subjected to a point load. Structural Engineering and Mechanics, 4 1: 49-59. Karunasena, W., Wang, C. M., Kitipornchai, S. and Xiang, Y. (1995) Exact solutions for axisymmetric bending of continuous annular plates. Computers and Structures, 63 3: 455-464. Wang C.M., Xiang Y. and Kitipornchai S. (1995) Vibration frequencies for elliptical and semi-elliptical mindlin plates. Structural Engineering and Mechanics, 3 1: 35-48. Wang, C. M., Xiang, Y. and Kitipornchai, S. (1994) Buckling solutions of rectangular Mindlin plates under uniform shear. Journal of Engineering Mechanics, 120 11: 2462-2470. Should load remain constant when a thin-walled open-profile column buckles? Wang C.M., Tian J. and Swaddiwudhipong S. (1994) Buckling of cylindrical shells with internal ring supports. Structural Engineering and Mechanics, 2 4: 369-381. Flexural vibration of in-plane loaded plates with straight line/curved internal supports. Liew K.M. and Wang C.M. (1993) Flexural vibration of in-plane loaded plates with straight line/curved internal supports.. Journal of Vibration and Acoustics, Transactions of the ASME, 115 4: 441-447. Liew, K. M. and Wang, C. M. (1992) Elastic buckling of rectangular plates with curved internal supports. Journal of Structural Engineering, 118 6: 1480-1493. Wang, C. M., Ong, S. L. and Ang, K. K. (1991) Calculation of effectiveness factors for spherical shells using shooting technique. Journal of Environmental Engineering, 117 6: 859-864. Wang, Chien Ming and Kitipornchai, Sritawat (1990) Integrated View of Methods in Buckling Analysis. The International Journal of Applied Engineering Education, CE117: . Ang, K. K. and Wang, Chien Ming (1990) Shear-flexural buckling of columns. Journal of Engineering Mechanics, 116 6: 1220-1241. Wang, Chien Ming (1990) Elastic stability of heavy rotating columns. Journal of Engineering Mechanics, 116 1: 234-239. Kitipornchai, S. and Wang, C. M. (1988) Flexural-torsional buckling of monosymmetric beam-columns/tie-beams. Structural Engineer, 66 23: 393-399. Wang, CM and Kitipornchai, S (1988) Buckling Capacities of Monosymmetric I-Beams - Closure. Journal of Structural Engineering-Asce, 114 3: 739-740. Kitipornchai, S, Wang, CM and Trahair, NS (1987) Buckling of Monosymmetric I-Beams Under Moment Gradient - Closure. Journal of Structural Engineering-Asce, 113 6: 1391-1395. Thevendran, V. and Wang, Chien Ming (1986) On the optimality criteria for archgrids. Journal of Structural Engineering, 112 1: 185-189. Wang, C. M. and Kitipornchai, S. (1985) Buckling capacities of monosymmetric I-beams. Research Report Series - University of Queensland, Department of Civil Engineering, CE62: . Wang, Chien Ming (1984) Optimal shape of cables. Journal of Engineering Mechanics, 110 11: 1649-1653. Rozvany, G. I. N., Wang, Chien Ming and Dow, M. (1980) Arch optimization via Prager-Shield criteria. Journal of the Engineering Mechanics Division, 106 6: 1279-1286. Wang, C. M. and Zhang, H. (2018). Development of hencky bar-net for vibration analysis of plates. In: 25th International Congress on Sound and Vibration 2018, ICSV 2018: Hiroshima Calling. 25th International Congress on Sound and Vibration 2018: Hiroshima Calling, ICSV 2018, Hiroshima Japan, (2528-2535). 8 - 12 July 2018. Challamel, N., Hache, F., Elishakoff, I. and Wang, C. M. (2016). Buckling and vibrations of lattice plates using nonlocal elasticity. In: 2016 ASCE Conference, Metz, France, (). 25-27 October 2016. Lim, S. H., Wang, Chien Ming and Peters, D. J. (2016). Deployable, reconfigurable, affordable and repurposable naval bases of the future. In: 13th International Naval Engineering Conference and Exhibition, Bristol, United Kingdom, (). 26-29 April 2016. Wang, C. M., Zhang, H., Challamel, N. and Kitipornchai, S. (2016). Hencky bar-chain model for buckling and vibration analyses of Euler-Bernoulli beams. In: 6th International Conference on Structural Engineering, Mechanics and Computation, Cape Town, South Africa, (). 5-7 September 2016. Hérisson, B., Challamel, N., Picandet, V., Perrot, A. and Wang, C. M. (2016). On the static and dynamic behavior of microstructured membranes within nonlocal mechanics. In: 2016 ASCE Conference, Metz, France, (). 25-27 October 2016. Wang, Chien Ming (2016). Very Large Floating Structures (VLFS): An Environmentally Friendly and Sustainable Solution for Land Creation on the Sea. In: International Top-Level Forum on Engineering Science and Technology Development Strategy, Chongqing, China, (). 14-17 May 2016. Challamel, N., Kocsis, A. and Wang, Chien Ming (2015). Discrete and nonlocal elastica, Mechanics through Mathematical Modelling. In: Symposium in the honour of 70th birthday of Academician Teodor Atanackovic, Novi-Sad, Serbia, (). 6-11 September 2015. Wang, Chien Ming (2015). Relationships between shear deformable late solutions and classical plate solutions. In: Silver Jubilee Commemorative International Conference on Structural Engineering, Colombo, Sri Lanka, (). 24-26 August 2015. Lim, S. H. and Wang, Chien Ming (2015). Seavolution - Megafloats for a sustainable future. In: 14th Conference on Science and Technology, Ho Chi Minh City, Vietnam, (). 30 October 2015. Wang, Chien Ming (2015). Very Large Floating Structures – An ecofriendly technology for creating land from the sea. In: 31st Annual Lecture of the Singapore Structural Steel Society, Singapore, (). 29 September 2015. Wang, Chien Ming (2015). Very large floating structures. In: 20th Annual Conversazione and Dinner of IMarEST, Singapore, (). 20 November 2015. Zhang, Z., Wang, Chien Ming and Challamel, N. (2014). Bridging the gap between discrete and nonlocal plate mechanics. In: 2014 ASCE Conference, Hamilton, Ontario, Canada, (). 5-7 August 2014. Challamel, N., Camotim, D., Wang, Chien Ming and Zhang, Z. (2014). On the discrete foundation of nonlocal thin-walled elements. In: 2014 ASCE Conference, Hamilton, Ontario, Canada, (). 5-7 August 2014. Papaioannou, I., Gao, R. P., Rank, E. and Wang, Chien Ming (2012). Hydroelastic analysis of pontoon-type very large floating structures in random seas. In: 5th Asian-Pacific Symposium on Structural Reliability and its Applications, Singapore, (). 23-25 May 2012. Wang, Chien Ming (2012). Molecular dynamics simulation results for buckling of carbon nanotubes with small aspect ratios. In: Fourth International Congress on Computational Mechanics and Simulation, Hyderabad, India, (). 9-12 December 2012. Wang, Chien Ming, Gao, R. P., Koh, C. G. and Kitipornchai, S. (2012). Novel solution to mitigate hydroelastic response of very large floating structures. In: The 4th International Conference on Structural Stability and Dynamics, Jaipur, India, (). 4-6 January 2012. Wang, C. M., Gao, R. P., Koh, C.G. and Kitipornchai, S. (2012). Novel solution to mitigate hydroelastic response of very large floating structures. In: J. N. Reddy and M. K. Shrimali, Proceedings of the 4th International Conference on Structural Stability and Dynamics. 4th International Conference on Structural Stability and Dynamics, Jaipur, India, (626-632). 4-6 January 2012. Reddy J.N., Arciniega R.A. and Wang C.M. (2010). Recent developments in the analysis of carbon nanotubes and nonlinear shell theories. In: Shell Structures: Theory and Applications - Proceedings of the 9th SSTA Conference. 9th Conference "Shell Structures: Theory and Applications", SSTA 2009, Gdansk-Jurata, (11-18). October 14, 2009-October 16, 2009.
de Boom, W., Chatjigeorgiou, I., Halkyard, J., Leira, B., Ma, N., Du, S.,, Valle, O., Videiro, P.M., Wang, Chien Ming and Younsang, W. (2009). Floating production systems. In: 17th International Ship and Offshore Structures Congress, Seoul, Korea, (). 16-21 August 2009. Wang C.M. and Utsunomiya T. (2009). Hydroelastic analysis of the large floating steel platform at marina bay in Singapore. In: ICASS '09/IJSSD - Proceedings of Sixth International Conference on Advances in Steel Structures and Progress in Structural Stability and Dynamics. 6th International Conference on Advances in Steel Structures and Progress in Structural Stability and Dynamics, ICASS 2009, Hong Kong, (163-178). December 16, 2009-December 18, 2009. Wang, Chien Ming, Riyansyah, Muhammad and Choo, Y. S. (2009). Reducing hydroelastic response of interconnected floating beams using semi-rigid connections. In: ASME 28th International Conference on Offshore Mechanics and Arctic Engineering, Honolulu, Hawaii, United States, (). 31 May - 5 June 2009. Wang, C. M., Song, J. H., Utsunomiya, T., Koh, H. S. and Lim, Y. B. (2008). Hydroelastic Analysis of Floating Performance Stage @ Marina Bay, Singapore. In: Proceedings of the 27Th International Conference On Offshore Mechanics and Arctic Engineering - 2008, Vol 6. 27th International Conference on Offshore Mechanics and Arctic Engineering, Estoril Portugal, (193-200). Jun 15-20, 2008. Tay, Z. Y. and Wang, C. M. (2008). Hydroelastic Response of Floating Fuel Storage Modules Placed Side-by-Side. In: Proceedings of the 27Th International Conference On Offshore Mechanics and Arctic Engineering - 2008, Vol 6. 27th International Conference on Offshore Mechanics and Arctic Engineering, Estoril Portugal, (181-192). Jun 15-20, 2008. Riyansyah M., Wang C.M. and Choo Y.S. (2008). Hydroelastic response of interconnected floating beams over varying seabed profile. In: Proceedings of the 8th 2008 ISOPE Pacific/Asia Offshore Mechanics Symposium. 8th 2008 ISOPE Pacific/Asia Offshore Mechanics Symposium, Bangkok, (241-249). November 10, 2008-November 14, 2008. Luong, V.H., Ang, K.K and Wang, Chien Ming (2007). Interaction between slosing liquid, container and moving ship. In: 2nd International Maritime-Port Technology and Development Conference, Singapore, (). 26-28 September 2007. Wang, Chien Ming, Zhang, Y. Y. and Kitipornchai, S. (2007). Vibration of initially stressed micro and nano beams. In: 15th Annual International Conference on Composites/Nano Engineering, Hainan Island, China, (). 15-21 July 2007. Wang, C. D., Tay, Z. Y., Wang, Chien Ming, Shah, K. W. and Song, T. C. (2007). Wave induced deflections and stress-resultants of two-floating fuel storage system. In: 2nd International Maritime-Port Technology and Development Conference, Singapore, (). 26-28 September 2007. Watanabe, Eiichi, Wang, Chien Ming and Ohyama, Takumi (2006). Diverse applications of floating structures. In: Emerging Trends: Keynote Lectures and Symposia - Proceedings of the 10th East Asia-Pacific Conference on Structural Engineering and Construction, EASEC 2010. 10th East Asia-Pacific Conference on Structural Engineering and Construction, EASEC 2010, , , (129-138). August 3, 2006-August 5, 2006. Ang, K. K., Hai, L. V. and Wang, C. M. (2006). Vibration analysis of liquid-filled containers due to ship motion. In: CMESM 2006: Proceedings of the 1st International Conference on Enhancement and Promotion of Computational Methods in Engineering Science and Mechanics. 1st International Conference on Enhancement and Promotion of Computational Methods in Engineering Science and Mechanics, Changchun Peoples R China, (782-782). Aug 10-12, 2006. Wang, Chien Ming, Utsunomiya, T., Watanabe, E. and Moan, T. (2005). Mega floating structures. In: International Conference on Advances in Structural Dynamics and its Applications, Visakhapatnam, India, (). 7-9 December 2005. Wang, Chien Ming (2005). Relationships between buckling stresses/natural frequencies of Mindlin and Kirchhoff plates. In: 3rd International Conference on Structural Stability and Dynamics, Kissimmee, FL, United States, (). 19-22 June 2005. Wang, Chien Ming, Utsunomiya, T., Watanabe, E. and Moan, T. (2005). Very large floating structures. In: Seminar on Special Structures, Kuala Lumpur, Malaysia, (). 11 August 2005. Watanabe, E., Utsunomiya, T. and Wang, Chien Ming (2004). Toward implementation of very large floating structures. In: 3rd International Conference on Advances in Structural Engineering and Mechanics, Seoul, Korea, (). 2-4 September 2004. Lim, C. W., Wang, Chien Ming and Kitipornchai, S. (2003). Elastic buckling of cylindrical shells under axial compression and body-forces. In: International Symposium on New Perspectives for Shell and Spatial Structures, Taipei, Taiwan, (). 22–25 October 2003. Watanabe E., Utsunomiya T., Wang C.M. and Xiang Y. (2003). Hydroelastic Analysis of Pontoon-Type Circular VLFS. In: Proceedings of the Thirteenth (2003) International Offshore and Polar Engineering Conference, Honolulu, HI, (93-99). May 25, 2002-May 30, 2003. Pakir, A., Wang, Chien Ming and Liew, A. C. (2003). New vistas for student exchange programmes. In: ISANA 14th International Educational Association Annual Conference, Yeppoon, QLD, Australia, (). 8-10 October 2003. Wang, Chien Ming, Shankar, J. N., Mao, W. Y. and Hee, A. M. (2003). Sea space utilization in Singapore. In: International Symposium on Ocean Space Utilisation Technology, Tokyo, Japan, (). 28-31 January 2003. Wang, Chien Ming and Xiang, Y. (2002). An approach for determining Levy solutions for plates with abrupt changes in properties. In: 2nd International Conference on Advances in Structural Engineering and Mechanics, Busan, Korea, (). 21-23 August 2002. Kassim, Ashraf A. and Wang, Chien Ming (2002). Engineering curriculum reforms to meet modern challenges. In: International Conference on Engineering Education, Manchester, United Kingdom, (). 18 August 2002. Wang, Chien Ming, Chen, Y. and Xiang, Y. (2002). Exact buckling solutions of simply supported, rectangular plates under intermediate and end uniaxial loads. In: 2nd International Conference on Structural Stability and Dynamics, Singapore, (). 16-18 December 2002. Wang, C. Y. and Wang, Chien Ming (2002). Fundamental frequencies of circular plates with internal elastic ring support. In: Proceedings of the 14th US National Congress of Theoretical and Applied Mechanics, Blacksburg, VA, United States, (). 23-28 June 2002. Acharya, C., Wang, Chien Ming and O’Grady, G. (2002). Teaching portfolio in teaching evaluation. In: 2nd Symposium on Teaching and Learning in Higher Education, Singapore, (). 4-6 September 2002. Wang, Chien Ming, Xiang, Y. and Wang, C. Y. (2001). Buckling and vibration of plates with an internal hinge via Ritz method. In: Computational Mechanics: New Frontiers for the New Millennium, Proceedings of the First Asian Pacific Congress on Computational Mechanics, Sydney, Australia, (). 20-23 November 2001. Wang C.M., Wang Y.C., Wantanbe E., Utsunomiya T. and Xiang Y. (2001). Obtaining accurate modal stress-resultants in freely vibrating plates that model VLFS. In: 11th (2001) International Offshore and Polar Engineering Conference, Stavanger, (272-278). June 17, 2001-June 22, 2001. Wang, Chien Ming, Ler, C. W. and Lee, L. W. (2001). Optimization of submerged, fully stressed, funicular arches. In: Extended Abstracts of the Fourth World Congress of Structural and Multidisciplinary Optimization, Dalian, China, (). 4-6 June 2001. Reddy, J. N., Wang, Chien Ming and Lim, G. T. (2000). Bending solutions of the Levinson plate theory in terms of the classical plate theory. In: The American Society for Composites 15th Technical Conference, College Station, TX, United States, (). 24-27 September 2000. Wang, Q. and Wang, Chien Ming (2000). Buckling of column strips with piezoelectric actuators. In: 1st International Conference on Structural Stability and Dynamics, Taipei, Taiwan, (). 7-9 December 2000. Wang, Chien Ming, Alwis, W. A. M. and Chakrabarty, J. (2000). Elastic/plastic buckling of rectangular and circular Mindlin plates. In: 1st International Conference on Structural Stability and Dynamics, Taipei, Taiwan, (). 7-9 December 2000. Reddy, J. N. and Wang, Chien Ming (2000). Relationships between the solutions of the classical and shear deformation plate theories. In: 20th International Congress of Theoretical and Applied Mechanics, Chicago, IL, United States, (). 27 August - 2 September 2000. Xiang, Y., Wang, Chien Ming, Utsunomiya, T., Machimdamrong, C. and Watanabe, E. (2000). Stress-resultant distributions for vibration of rectangular plates. In: 1st International Conference on Structural Stability and Dynamics, Taipei, Taiwan, (). 7-9 December 2000. Utsunomiya, T., Watanabe, E., Wang, Chien Ming and Xiang, Y. (2000). Stress-resultants from dynamic analysis of very large floating structures in waves. In: International Conference on Structural Stability and Dynamics, Taipei, Taiwan, (). 7-9 December 2000. Wang, CM and Lim, GT (1999). Analysis of sectorial and semi-circular Mindlin plates via relationships with classical solutions. In: Structural Engineering and Mechanics, Vols 1 and 2. 1st International Conference on Advances in Structural Engineering and Mechanics (ASEM'99), Seoul South Korea, (259-264). Aug 23-25, 1999. Wang, Chien Ming, Chow, Y. K. and How, Y. C. (1999). Bending of rectangular Mindlin plates on an elastic half-space. In: The 1st International Conference on Advances in Structural Engineering and Mechanics, Seoul, Korea, (). 23-25 August 1999. Wang, Chien Ming, Chow, Y. K. and How, Y. C. (1999). Bending of rectangular Mindlin rafts on Pasternak foundation. In: Twelfth KKNN Seminar/Workshop on Civil Engineering, Taejon, Korea, (). 20-22 August 1999. Xiang, Y and Wang, CM (1999). Buckling of sectorial Mindlin plates. In: Mechanics of Structures and Materials. 16th Australasian Conference on the Mechanics of Structure and Materials, Sydney Australia, (641-646). Dec 08-10, 1999. Leck, H. J., Ganesh, V. K., Ramakrishna, S. and Wang, Chien Ming (1999). Continuous fiber reinforced functionally gradient polymer composite material. In: International Workshop on Fracture Mechanics and Advanced Engineering Materials, Sydney, Australia, (). 8-10 December 1999. Wang, Chien Ming (1999). Deducing thick plate solutions from classical thin plate solutions. In: 1st International Conference on Advances in Structural Engineering and Mechanics, Seoul, Korea, (). 23-25 August 1999. Lim, G. T. and Wang, Chien Ming (1999). Exact Mindlin deflections for annular sectorial plates using Kirchhoff results. In: Twelfth KKNN Seminar/Workshop on Civil Engineering, Taejon, Korea, (). 20-22 August 1999. Chen, C.C., Kitipornchai, S. and Wang, Chien Ming (1999). Experiences with p-Ritz method for vibration analysis of plates with cutouts. In: 4th Asia Pacific Conference on Computational Mechanics, Singapore, (). 15-17 December 1999. Wang, Chien Ming, Lee, K. H. and Lim, G. T. (1999). On Reissner and Mindlin plate theories. In: Twelfth KKNN Seminar/Workshop on Civil Engineering, Taejon, Korea, (). 20-22 August 1999. Wang, Chien Ming, Lim, G. T. and Lee, K. H. (1999). Thick plate benchmark results for computational mechanists. In: 4th Asia Pacific Conference on Computational Mechanics, Singapore, (). 15-17 December 1999. Ang, KK, Wang, CM and Yang, L (1999). Vibration of general-shaped sandwich plates with laminated facings. In: Structural Engineering and Mechanics, Vols 1 and 2. 1st International Conference on Advances in Structural Engineering and Mechanics (ASEM'99), Seoul South Korea, (277-282). Aug 23-25, 1999. Wang, Chien Ming, Lim, G. T. and Lee, K. H. (1998). Exact Kirchhoff-Mindlin bending relationships for Levy plates. In: 8th KKNN Seminar on Civil Engineering, Singapore, (). 30 November – 1 December 1998. Yan, N., Wang, Chien Ming and Balendra, T. (1998). Optimal feedback gains for active-passive TMD in vibration control of structures. In: High Performance Computing Conference, Singapore, (). 23-25 September 1998. Xiang, Y. and Wang, Chien Ming (1998). Optimal location of an internal line support in laminated rectangular plates for maximum fundamental frequency. In: 4th International Conference on Optimization Techniques and Applications, Perth, Australia, (). 1-3 July 1998. Chen, C. C., Kitipornchai, S. and Wang, Chien Ming (1998). Optimization of fiber orientations of thick laminated plates for maximum fundamental frequency via Genetic Algorithms. In: High Performance Computing Conference, Singapore, (). 23-25 September 1998. Wang, Chien Ming and Ang, K. K (1998). Optimization of piecewise-constant circular plates for minimax deflection. In: 4th International Conference on Optimization Techniques and Applications, Perth, Australia, (). 1-3 July 1998. Chou, F. S., Wang, Chien Ming, Cheng, G. D. and Olhoff, N. (1998). Optimization of support locations for circular plates. In: 4th International Conference on Optimization Techniques and Applications, Perth, Australia, (). 1-3 July 1998. Wang, Chien Ming, Swaddiwudhhipong, S. and Tian, J. (1997). Buckling of cylindrical shells with general ring stiffener and lateral pressure distribution. In: 7th International Conference on Computing in Civil and Building Engineering, Seoul, Korea, (). 19-21 August 1997. Wang, Chien Ming (1997). Relationships between solutions of classical and first order shear deformation plate theories. In: 7th KAIST-NTU-KU Trilateral Seminar/Workshop on Civil Engineering, Kyoto, Japan, (). 1-3 December 1997. Balendra, T., Wang, Chien Ming and Rakesh, G. (1997). Vibration control of tapered buildings using TLCD. In: US National Conference on Wind Engineering, Baltimore, MD, United States, (). 5-7 June 1997. Balendra, T., Wang, Chien Ming and Rakesh, G. (1997). Vibration control of various types of buildings using the TLCD. In: 4th Asia-Pacific Symposium on Wind Engineering, Gold Coast, Australia, (). 14-16 July 1997. Wang, C. M., Xiang, Y. and Kitipornchai, S. (1996). A computational method for optimizing locations of point supports in plates against vibration. In: Proceedings of the third Asian-Pacific Conference on Computational Mechanics. Third Asian-Pacific Conference on Computational Mechanics, Seoul, Korea, (). 16 - 18 September 1996. Wang, C. M., Swaddiwudhipong, S. and Tian, J. (1996). Automated Ritz method for vibration and buckling analyses of cylindrical shells. In: Proceedings of the third Asian-Pacific Conference on Computational Mechanics. Third Asian-Pacific Conference on Computational Mechanics, Seoul, Korea, (). 16-18 September 1996. Chucheepsakul, S., Thepphitak, G. and Wang, C. M. (1996). Elastica solutions of variable-arc-length beams under moment gradient. In: Proceedings of the third Asian-Pacific Conference on Computational Mechanics. Third Asian-Pacific Conference on Computational Mechanic, Seoul, Korea, (). 16-18 September 1996. Wang, Chien Ming (1995). Axisymmetric buckling of circular Mindlin plates with edges elastically restrained against rotation. In: 4th Pacific Structural Steel Conference, Singapore, (). 25 - 27 October 1995. Shanmugam, NE, Wang, CM and Padmanaban, K (1995). Behaviour of Stub-Girder Flooring Systems. In: Icsas '95 - Proceedings of the Third International Conference On Steel and Aluminium Structures. 3rd International Conference on Steel and Aluminium Structures (ICSAS 95), Istanbul Turkey, (523-530). May 24-26, 1995. Alwis, WAM and Wang, CM (1995). Physical interpretation of Wagner term in flexural-torsional buckling. In: Structural Stability and Design. International Conference on Structural Stability and Design, Sydney Australia, (29-33). Nov 01, 1995. Alwis, W. A. M and Wang, Chien Ming (1995). Two concepts of bar buckling: constancy of load versus constancy of support distance. In: International Conference on Mechanics of Solids and Materials Engineering, Singapore, (). 5-7 June 1995. Wang, CM (1993). Computerized Rayleigh-Ritz Method for Elastic Plate Analyses. In: Computational Mechanics : From Concepts to Computations, Vols 1 and 2. 2Nd Asian / Pacific Conf On Computational Mechanics, Sydney Australia, (247-252). Aug 03-06, 1993. Ang, K. K., Wang, C. M. and Wang, L. (1993). Optimal Location of Rigid Braces in Beams for Maximum Elastic Buckling Load. In: Computational Mechanics : From Concepts to Computations, Vols 1 and 2. 2nd Asian Pacific Conference On Computational Mechanics, Sydney Australia, (903-909). 3-6 August 1993. Thevendran, V. and Wang, Chien Ming (1992). A novel method for solving one-dimensional variational problems. In: International Conference on Computational Methods in Engineering, Singapore, (). 11-13 November 1992. Padmanaban, K., Wang, C. M., Shanmugam, N. E. and Lee, S. L. (1992). Finite element analysis of stub girders. In: International Conference on Computational Methods in Engineering, Singapore, (). 11–13 November 1992. Mahatma, S., Koh, C.G. and Wang, C. M. (1992). Numerical simulation studies of vibration of structures with multiple liquid dampers. In: International conference on Computational Methods in Engineering, Singapore, (). 11–13 November 1992. Wang, C. M., Wang, L., Ang, K. K. and Liew, K. M. (1992). Optimal Locations of Internal Line Supports in Plates for Maximum Fundamental-Frequency. In: Optimization : Techniques and Applications, Vols 1 and 2. International Conference On Optimization Techniques and Applications ( Icota 92 ), Singapore Singapore, (908-917). 3-5 June 1992. Wang, CM, Ting, SK and Alwis, Wam (1992). Optimal Plastic Design of Uniformly Loaded Axisymmetrical Plates with Multiple Concentric Ring Supports. In: Optimization : Techniques and Applications, Vols 1 and 2. International Conf On Optimization Techniques and Applications ( Icota 92 ), Singapore Singapore, (900-907). Jun 03-05, 1992. Wang, Chien Ming and Goh, C.J. (1992). Optimal plastic design of uniformly structural elements. In: International Conference on Optimization Techniques and Applications, Singapore, (). 3-5 June 1992. Wang, CM, Kitipornchai, S and Albermani, F (1991). Influence of Axial Shortening On Buckling of Columns. In: Steel Structures : Recent Research and Developments. International Conf On Steel and Aluminium Structures ( Icsas 91 ), Singapore Singapore, (265-274). May 22-24, 1991. Wang, Chien Ming, Al-Bermani, F. G. A. and Kitipornchai, S. (1991). Influence of axial shortening on column buckling. In: International Conference on Steel & Aluminium Structures, Singapore, (). 22-24 May 1991. Wang C.M. (1991). Large deformation analysis of structural members via shooting-optimization technique. In: Proceedings of the Asian Pacific Conference on Computational Mechanics, Hong Kong, Hong Kong, (413-419). December 11, 1991-December 13, 1991. Kitipornchai, S. and Wang, Chien Ming (1989). Buckling behaviour of monosymmetric beam-columns. In: ICSSAS'89, Beijing, China, (). 10-12 October 1989. Ang, K. K. and Wang, Chien Ming (1989). Elastic column buckling with shear effects. In: ICSSAS’89, Beijing, China, (). 10-12 October 1989. Teo, K. L. and Wang, Chien Ming (1988). Optimal shape of least weight arches. In: Structural Optimization, Melbourne, Australia, (). 9–13 February 1988. Lee, S. L., Swaddiwudhipong, S., Wang, Chien Ming and Liew, K. M. (1987). Analysis and optimal pretensioned forces for cable suspended structures. In: International Conference on Cable-Stayed Bridges, Bangkok, Thailand, (). 18-20 November 1987. Wang, Chien Ming and Goh, C.J. (1987). Optimal design of multispan cables. In: International Conference on Optimization Techniques and Applications, Singapore, (). 8-10 April 1987. Kitipornchai, S. and Wang, Chien Ming (1985). Design of laterally unsupported steel tee beams. In: International Symposium on Structural Steel Design and Construction, Singapore, (). 3 - 4 July 1985. Wang, Chien Ming and Thevendran, V. (1985). Optimization of cable structures. In: Metal Structures Conference, Melbourne, Australia, (). 23-24 May 1985. Wang, C. M., Alwis, W. A. M. and Rozvany, G. I. N. (1984). Minimum-weight design of fully stressed archgrids. In: Third International Conference on Space Structures. Third International Conference on Space Structures, Guildford, England, United Kingdom, (713-718). 1984. Rozvany, G. I. N. and Wang, C. M. (1982). Extension of Prager's layout theory. In: Euromech-Colloquium 164, Siegen, FR Germany, (). 12-14 October 1982. Structural Stability and Dynamics (2002) . Edited by C. M. Wang, G. R. Liu and K. K. Ang. ICSSD 2002, 16 – 18 December 2002, Singapore.